End of Summer Website Sale! End of Summer Website sale. Get ready for the busy season! Don’t miss the opportunity to be ready for the millions of dollars spent each year online during the busy shopping season. Do you need a website for your business? How about your organization? Would like to use a WordPress Content Management System so you can interact with your customers and write articles about your business? Or maybe you just want to be able to update and add content to your site easily? Take advantage of this great time to get online fast. We offer great support even after the point of sale. No hosting or domain name? That’s OK Contact me and I will give you a free consultation and help you with what I have learned on the web. I will be discounting all services and websites just mention this post! This entry was posted in Create a blog, New post, Web Design and tagged Blogging, Buy Website, Sale, Web Design on September 9, 2011 by Wolfbernz. Need a Facebook Share Button? Here is one that seems to work just about anywhere and it has a counter on it too! Make sure to change where it says yoursitehere to your URL. I was looking for something that wasn’t a plugin and that I could put just about anywhere on a web site. This one seems to do the job just fine. I have tested it on may sites and it works every time. Just right click and copy then paste it where you want it. On a web page this may help you gain some new readers and for those in business it may help with sales if your site is shared around Facebook. If you are in business on the web it doesn’t hurt to use social media to get the word out about your web site but… There is that word! You really don’t want to just spam your site all over the social media sites you have to take the time to network this is the catch that most people miss out on. the more you network the better you will be received and not banned or deleted. 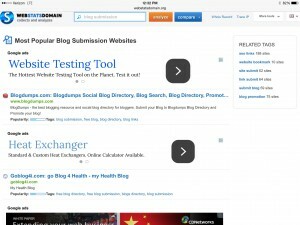 I know this sounds very bias but BlogDumps is a great place to use just for this type of promotion to get your site noticed. 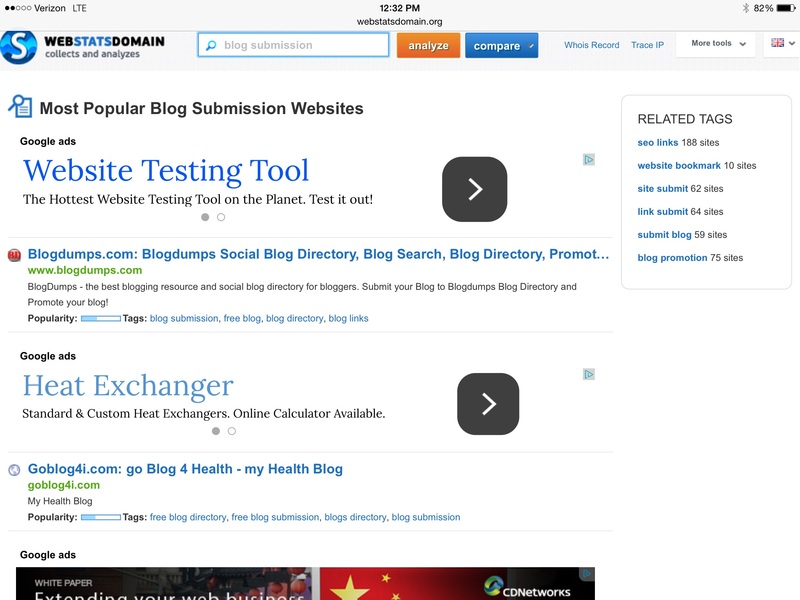 If you use a Blog for your content management system you can be a featured blog and get on the front page of BlogDumps. BlogDumps gets up to 7200 page views a day so for just a few dollars a one time fee your there for life! Well, enjoy the new FaceBook button I hope it works out well for you and while your here if you use Facebook please click my button at the top of this post! This entry was posted in Blog Optimization, New post, Web Design and tagged FaceBook Button, Make Money Online, Web Design on September 23, 2010 by Wolfbernz. So You Want A Web Site? Many people come to me and want a web site, the first thing I ask them is have you ever had a puppy or kitten? They always look at me very funny and then answer me with a usual yes they have at one point in their life. Most people think they are going to have a web site built and and then their company or site will start producing. Those of you that have a web site or blog know this to be different. I then go on to explain that a web site or blog is just like the puppy or kitten at first you are all excited and you must show it to everyone take it everywhere it’s so perfect. But it needs attention… Vet visits, Shots, brushing, teaching it not to poop in the house and all the training that goes with it. I always get the puzzled look! Then I let them know if you do not have time to take care of it and spend time during the week to do the things that make your web site grow then you shouldn’t get one. Commitment is doing what you said you would do long after you said you would do it. Most people do not have what it takes to have a web site, especially one that is managed by a webmaster. A webmaster is only as good as the info and photos that you provide. The design, look and layout can be the best in the world but if you don’t update your site about your product or you don’t make but a couple of posts on your web site’s blog, it looks as though you are not interested in your own business. Hence neither will the visitor that lands on your site. Some don’t care they just blog for fun and for their friend or for the sake of just writing which is cool I can understand that I do enjoy just blogging. So I know now you are wondering why I would try to detour a customer from getting a web site? I have seen this so many time over the years even after I have done the whole speech thing about the puppy crapping on the floor and the loss of interest after is has grown. It gets thrown to the side and then it’s the question… Why am I paying for a site that doesn’t do much? I sell some on the web but the traffic has just fallen off! How come you don’t update it? It is not the webmaster’s job to say ” Hey this week I think I will make your site pink” that doesn’t do it. The text must be re-written and updated and who knows more about their own product? How about some updated photos? When was the last time you posted on your sites blog? A webmaster does necessary website updates, SEO work, fix the site if it gets hacked, update it with all the new info and photos provided by the customer to change the look and feel so it is fresh and new looking. This also makes it more search friendly than a site that just sits and nothing changes. If you don’t have the time to take a few hours a week and work on your own then don’t get a website or blog. You must be passionate about it long after the puppy grows into a dog. This entry was posted in Create a blog, New post, Web Design and tagged By A Web Site, Get a blog, Web Design on June 16, 2010 by Wolfbernz. I have noticed that the spammers have started copying some of my regular visitors comments and then using them as theirs with a link to their own site! Will they stop at nothing, OMG! So check your comments and make sure you really know who left it on your blog. For those that blog and those that have web sites I have found that if I keep the title and meta of a page simple and the page text relevant to title and meta that Google indexes it better. I tested this on a web site for three years I had a simple page with text in the top middle that matched the head title and meta tags it was number one even better than the parent company I was promoting. I thought, ok this has been working for years and I just keep moving up under even more of my key words so I thought I would change it and see what happens I changed it to the new style of titles and tags etc… Well, the page disappeared out of Google all together – I can’t even find it! So if it is working and you are where you want your site indexed don’t get talked into changing what is working! If you really want more of a web site look when people land on your domain but you do not want to rely on a webmaster to update your web site use a WordPress CMS (content management system) Create a static front page with links to many other pages about what it is you do and then a link to your blog where you can tell your visitors about you and your products updates. This is one of the simple ways to have the best of all sites. If you need help with a WordPress blog let me know I can help. This entry was posted in Blog Optimization, Google, New post, Web Design and tagged Search Engines, SEO, Tips, Web Design on May 30, 2010 by Wolfbernz. Websites are nice but a WordPress blog is a much better way to build your website. When you land on Wolfbernz.com the front page looks like any other web site with links and some limited information to gain the readers attention but it is a WordPress Content Management System or CMS. The WordPress CMS started out as a journal that people would write on each day or so and tell of their daily lives etc… But as time went by business people started to realize the ease and importance of WordPress as a CMS. Once your new WordPress Blog or CMS is installed you now have a site that doesn’t require a webmaster to do everything for you, you have control and can tell your visitors about your product or services. The best part of this system is each time you make an entry (blog post) there is a URL for each post so the more you write the more URL links are indexed by Google and other search engines. This is a good thing because it keeps your site fresh with new, relevant content all the time. We can do all the work to set you up with a WordPress CMS system and have you on the web in no time. Please visit our shopping cart and order yours today. If you are planning to get on the internet with a web site start by clicking here. This entry was posted in New post, Web Design and tagged Blog design, Web Design, Web Site, Web Store, WordPress Installation on April 15, 2010 by Wolfbernz.